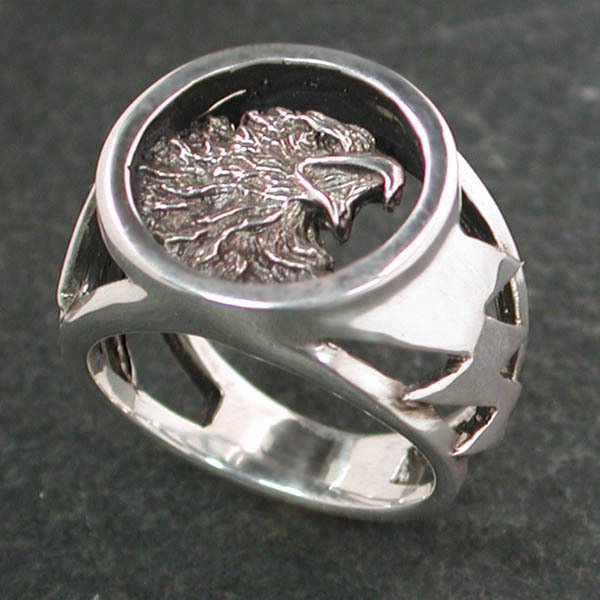 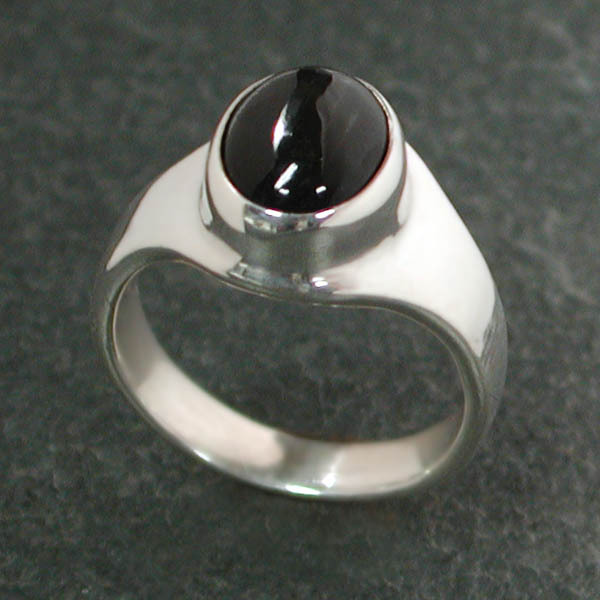 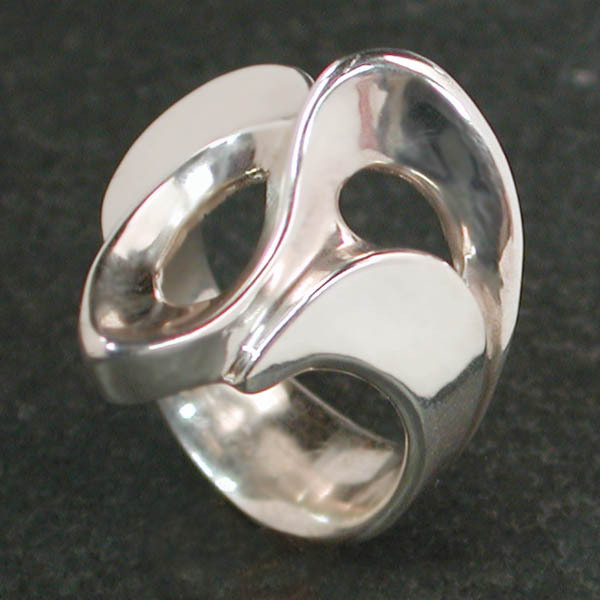 This double layer ring can be set with a variety of 6×8 oval cabochons. 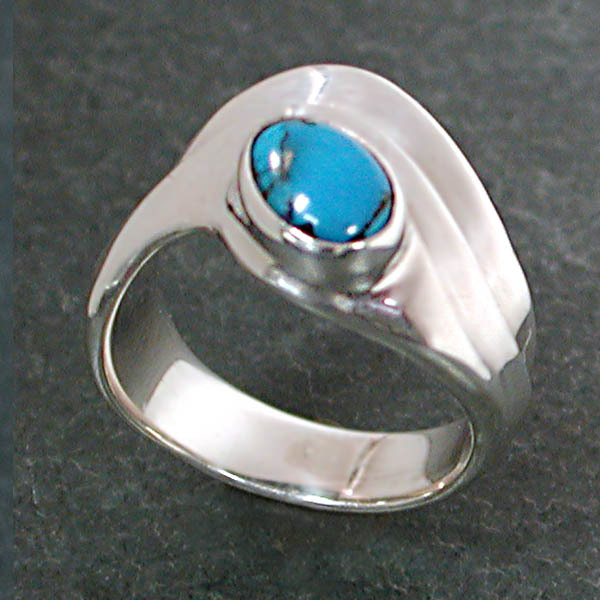 This first image shows stabilized turquoise, which will not turn green with skin oils like untreated turquoise. 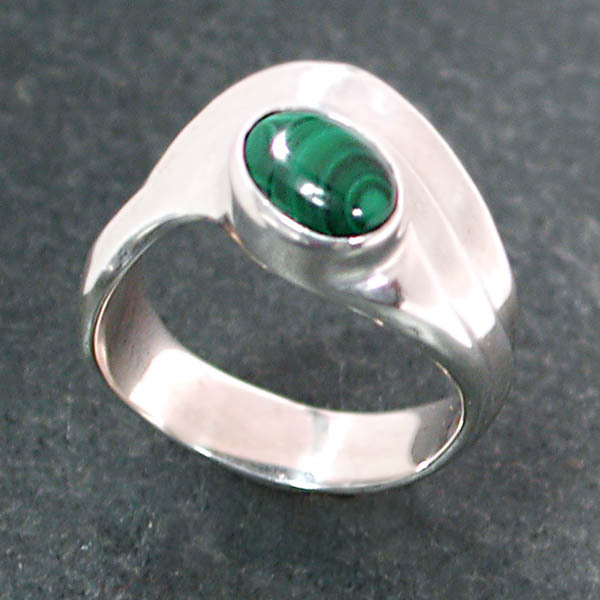 The second image shows malachite, no pictures available for the other stones.